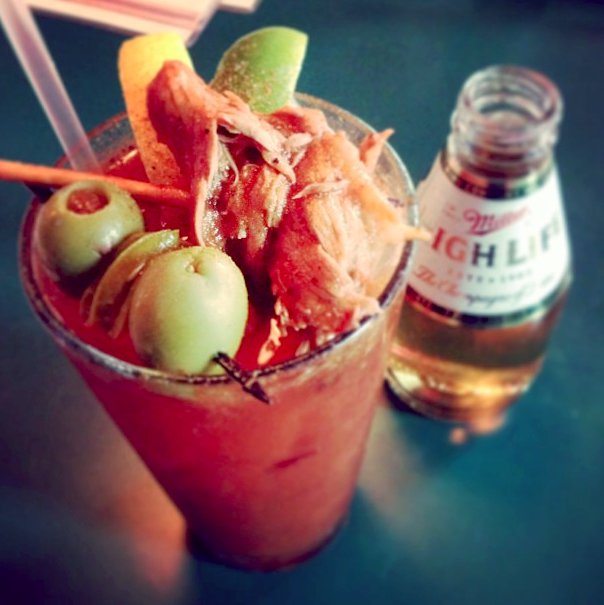 We spend a lot of time talking about bloody marys and our fair city, Chicago. You get it, we love them. 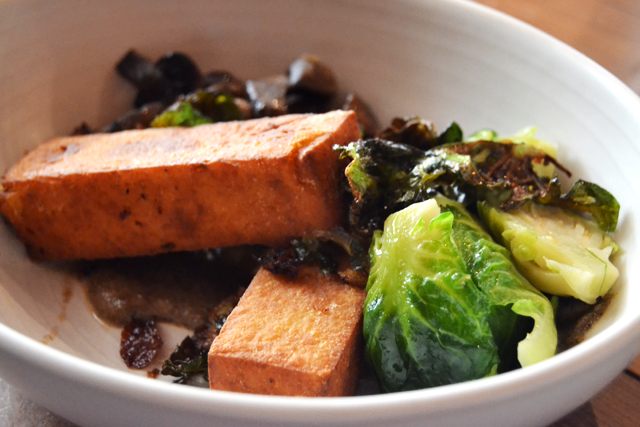 We wax poetic about food and libations, but reveal little about ourselves. Somewhat on purpose. For example, you may or may not know Elaine hails from Miami. Her family is from Cuba, and she speaks Spanish fluently. She’s also a brillz designer who can rock lipstick better than 99% of ladies (and gents) out there. And Amber? A Hoosier girl with a signature bob who’s tiny but thinks she’s fierce. Often seen shoulder dancing. Wherever. Is it weird we’re talking about ourselves in third person? Sure, but so are we. 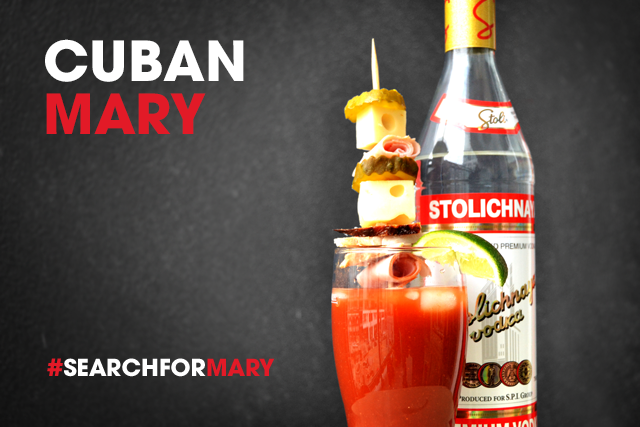 The Cuban Mary is made with flavors used in traditional Cuban cooking. Contrary to popular belief, Cuban food is not spicy. 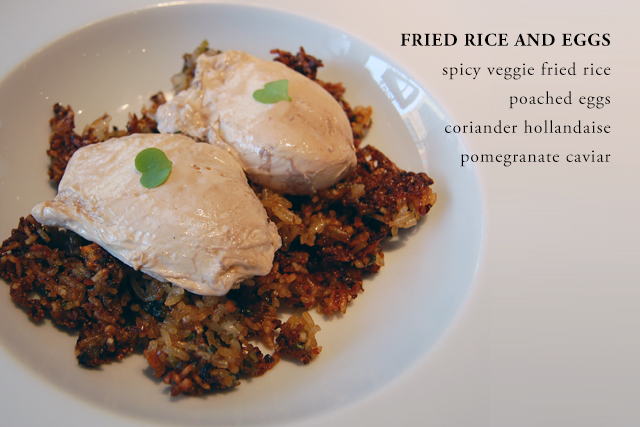 Common ingredients include garlic, cumin and Sazon Goya on everything. I used Garlic Chili Cholula to infuse garlic flavor while still bringing a little heat. I sprinkled in half packet of Sazon Goya with cilantro to season it. Lime V8 gives it a unique base, reminiscent of lime juice squeezed over Cuban dishes. 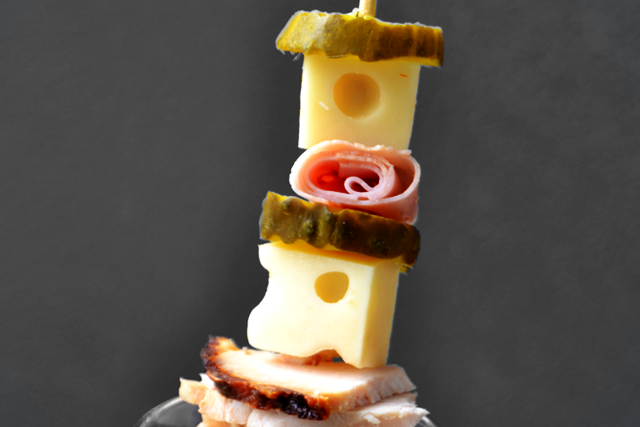 The garnish represents a Cuban sandwich by using swiss cheese, pork, ham and bread and butter pickles. I left out the mustard and Cuban bread, but I’m sure you understand. What’s funny is that I grew up hating tomatoes. My grandparents grew red, yellow, green tomatoes in their garden, and my family ate them in every meal. I’d only eat them in spaghetti sauce or ketchup. Times have changed. 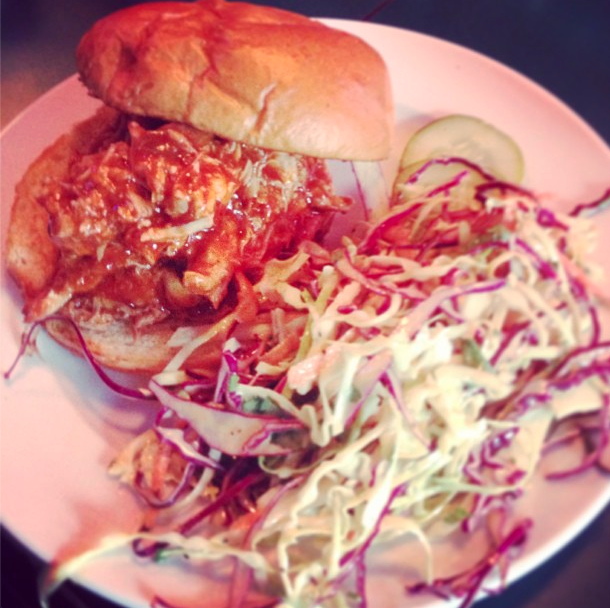 To represent southern Indiana, Midwest Mary was created to taste down-to-earth, honest and homegrown, as if from a garden. I picked flavors like horseradish, pickle juice, lemon juice and added a kick with hot sauce and A1. 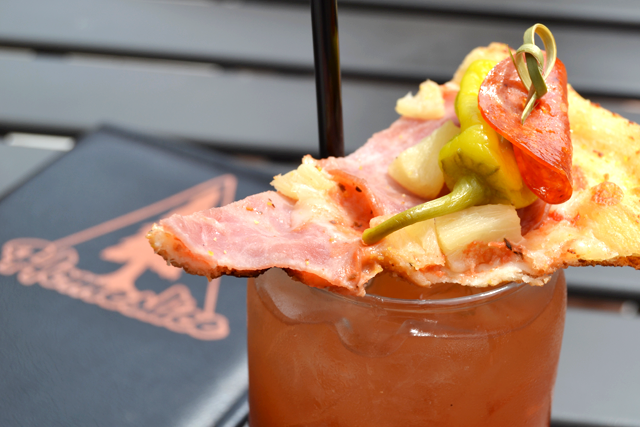 The garnish was inspired by meat and cheese dishes I grew up loving. Also, the beer back is charmingly Midwestern. I picked Upland Helios Pale Ale, a beer brewed in Bloomington, Indiana, home of my alma mater, Indiana University. Best enjoyed in a Nick’s English Hut glass. 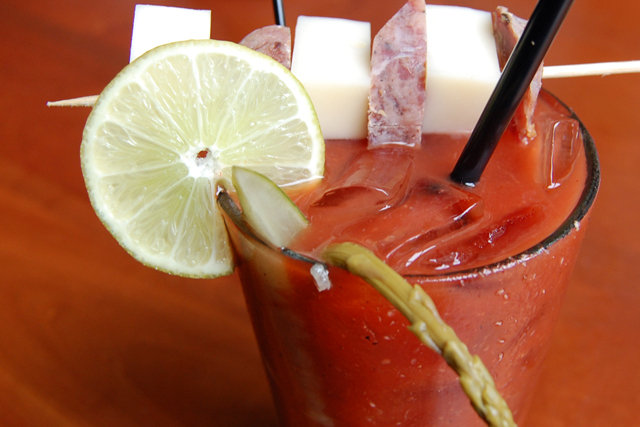 We hope you enjoy our signature bloody marys! Please let us know what you think. While we’re sharing, be sure to check out the fabulous bloody mary by Cait from Pretty and Fun. We won’t give too much away, but it includes a delicious Stoli bloody concoction and a gorgeous bar setup. This post was sponsored by Stoli. Opinions and photography are our own. 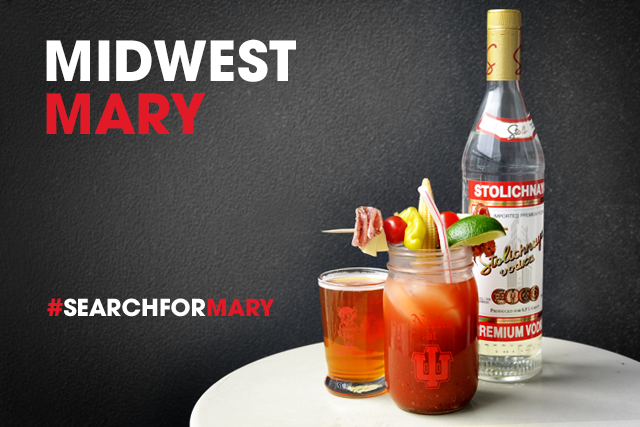 Join Stoli in their coast-to-coast search for your favorite local flavors by following #SearchForMary. STOLICHNAYA® Premium Vodka and Flavored Premium Vodkas. 37.5%-40% Alc/Vol. (75-80 proof). Distilled from Russian Grain. Stoli Group USA, LLC, New York, NY ©2014 Spirits International, B.V. This week, we’re thrilled to have our first guest blogger, a girl after our own bloody-mary loving hearts, Nicole from Not Before My Tea. 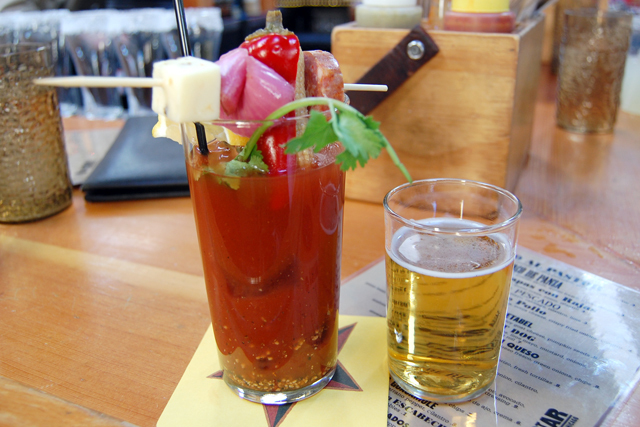 Grab a straw and enjoy her tasty review of the Highwood Bloody Mary Festival! Hello my fellow Bloody Mary activists! I’m Nicole, blogger and fellow Chicagoan over at Not Before my Tea, where I blog about running, fashion, and life in Chicago. 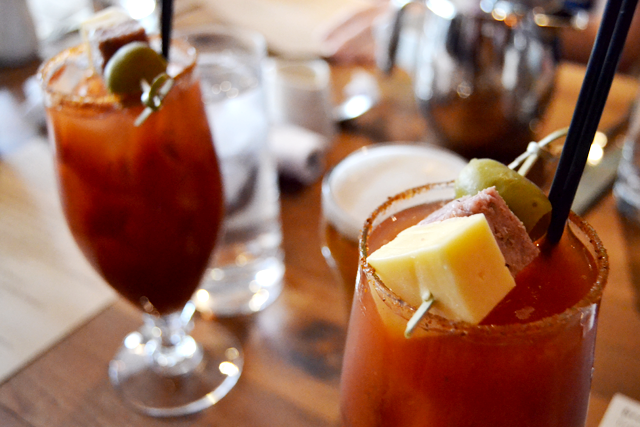 The only thing I love more than a cup of tea is a bloody mary at brunch (or anytime, really!). Can you think of anything more spectacular than a group of bloody mary connoisseurs congregated for the sole purpose of perfecting the already faultless brunch staple? I couldn’t either! And because the Marys at Bloody Best couldn’t be there to witness the spectacle, they’ve let me report back on what I saw and tasted. Short report: It was A-mazing. Perhaps the most ingenious human scheme since the invention of the wheel. Long report: I saw some things at the festival that I had never seen before in all of my years of bloody mary escapades. 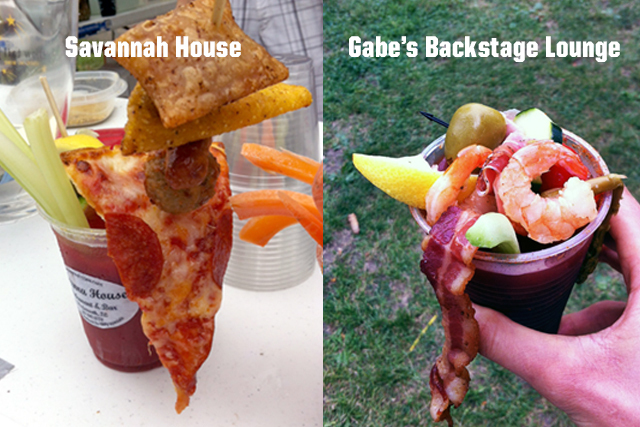 This included some pretty outrageous garnishes, such as pepperoni pizza from the Savanna House in Wadsworth. 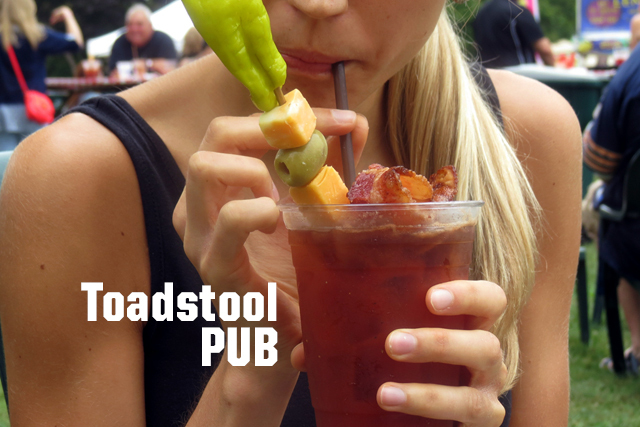 The first bloody I tried was last year’s “People’s Choice” winner, Toadstool Pub. I figured that while following the crowd off bridges is a general “no,” bloodies were a different story. My first impression was that the Toadstool Pub and the people who chose it knew their Marys. 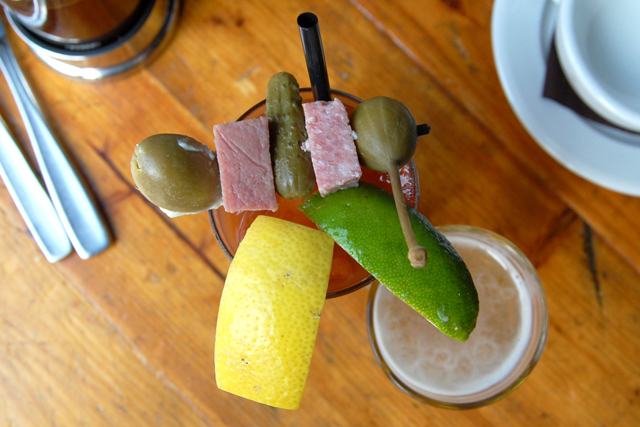 The bloody’s garnish alone straddled the line between “small snack” and “budget breakfast.” The drink was topped with cheddar and pepper jack cheese cubes, summer sausage, green olives, bacon, and pepperoncini. It’s hard to make a bad piece of bacon, but on a scale from McDonald’s dollar menu to Outback, this bacon was a ribeye. It was a maple-y, crispy slice of heaven. Unfortunately, that was this bloody’s shining moment. The drink itself was a bit watery and average at best. 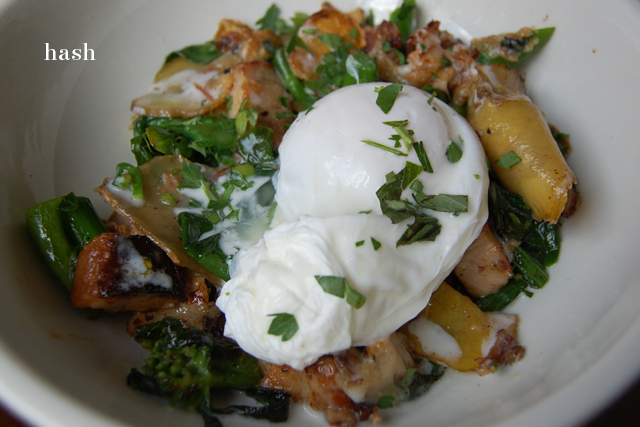 It seemed to be trying too hard to be refreshing, instead of embracing its true nature: a hearty brunch staple. My next choice was based solely on the most appealing garnish. That led me to the Tap House, which lured me in with a skewer with bacon-wrapped brat and cheese. Because it only boasted a second-place trophy from last year, my expectations weren’t too high. 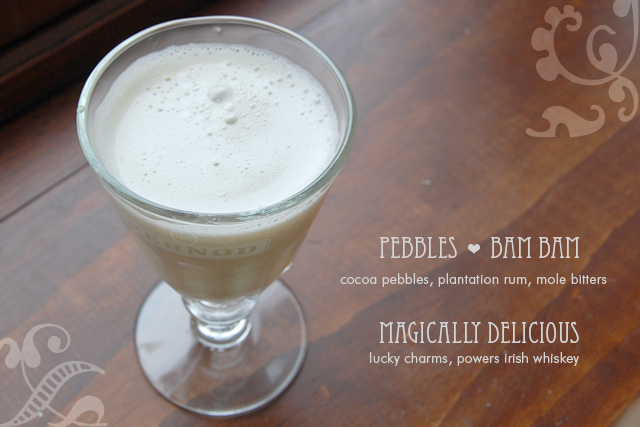 The drink, however, beat the odds and earned a spot above the former People’s Choice winner. The garnish was just as delicious as it looked, but the drink itself took center stage: it was thick with the right amount of spices, and a hint of something that was pleasantly reminiscent of my hometown favorite, Maryland crab soup. For my last full-sized bloody at the festival, I had to go with the three time “Judge’s Choice” champion, Gabe’s Backstage Lounge (pictured above). I figured that if you can’t trust people who can legitimately include “Bloody Mary authority” on their resumes, you can’t trust anyone. In my opinion, the only reason that Gabe’s hadn’t won over the people last year was its presentation. At Gabe’s tent, one would think that the only garnish available was an assortment of pickled vegetables (and when you’re three bloodies in, who’s going to pick carrots over bacon?). It wasn’t until I bought the drink that they pulled out the rest of the garnish from the cooler, which included ham, cheese, shrimp, bacon, and olives. I had to hand it to the judges: they knew their Marys. Gabe’s bloody was definitely the best drink of the three, and might have been the best overall had it included a brat. As the breeze got chillier and my vision got blurrier, we decided to head over to a local bar, the Silver Dollar Tavern, to watch the Bears game and wait for our train. I figured that “one more bloody mary” is never a bad decision, so I ordered my fourth one of the day. It turned out to be the best drink. (And even though most things seem good after three large cocktails, I can identify a truly great bloody even in my most inebriated state.) Although it came straight with no frilly garnishes, the rich juice and the spices that the bartender added by hand, right in front of me, were spot on. The festival overall was worth every second of agonizing anticipation and public transportation. Not only did it offer samplings of some of the truly best bloodies I’ve had, it had something for those who were only there to accompany their nuts-o significant others. My boyfriend, a taco connoisseur, was entirely satisfied with what the Mexican food truck had to offer. And with Farmers’ Market food, live entertainment, and a petting zoo, even the Grinch would have had a hard time not having fun. I’m so glad that the bloody experts here at Bloody Best let me share my thoughts with you lovely readers. If you enjoyed this little slice of Nicole, head over to my blog for a bigger portion. 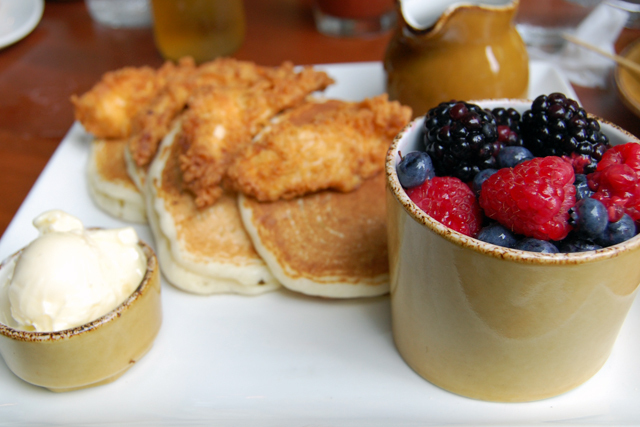 As for now, keep calm and brunch on, my friends! Hope you have a bloody brilliant day! Along with news that they had a bloody mary topped with an oyster, these were the words that sold us on reviewing The Savoy. Pirate ship isn’t exactly the scene, but The Savoy IS a raw bar meets absinthe bar. And the rich wood and ropes make you feel like you’re near the water. Speaking of, this brunch was practically a Party in the City Where the Heat is On as 3/5 of the group was from Miami. So, pull up a seat, swim up, whatever. Let’s have a bloody with an oyster shooter. The Morning After Mary is more than a clever name and a pretty face. 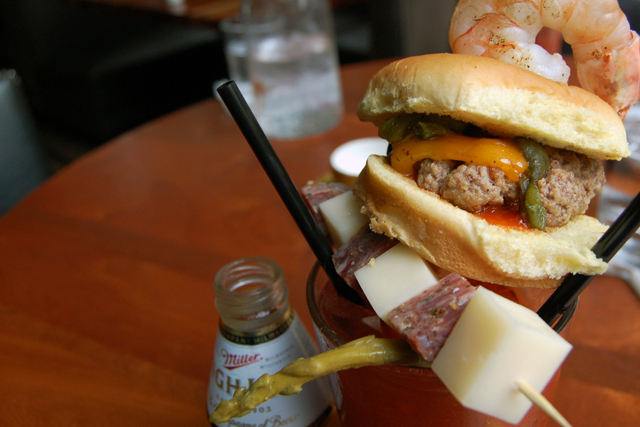 Clearly, this wins for garnish alone. 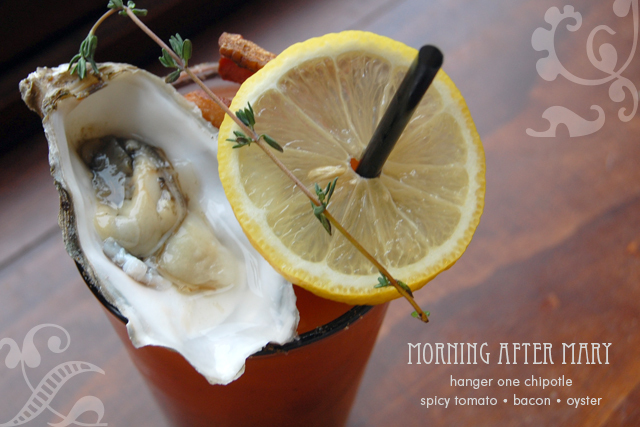 Has anyone else had a bloody mary with an oyster garnish? This was news to us. The smoky maple bacon, lemon slice and rosemary sprig didn’t hurt either. Garnish aside, this is a good tasting bloody. It’s made with Hangar 1 Chipotle (another first), which if it’s the same as its sisters, is derived from grapes. 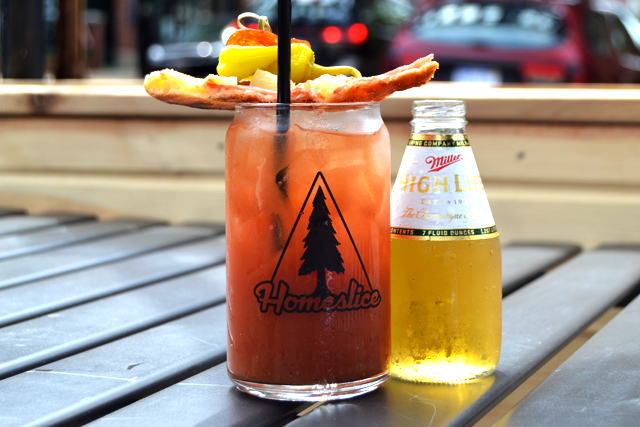 The housemade mix is a combo of spicy tomato juice, sriracha, stout, Worcestershire sauce and other seasonings. It’s spicy and heavy on Worcestershire but not overbearing. 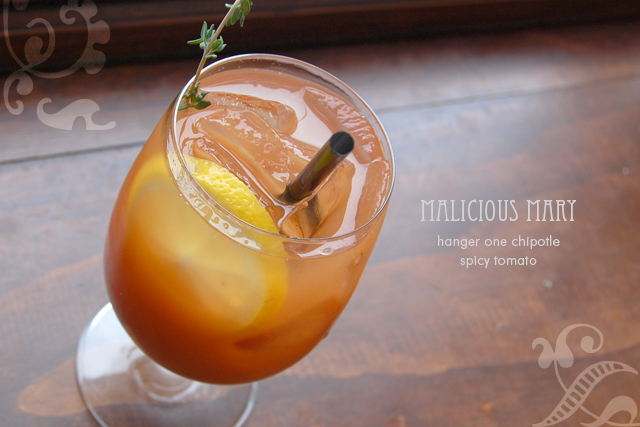 Morning After Mary has a little sister, Malicious Mary, that’s good but not as grown up, especially in the garnish dept. Because we like to drink and our friends do too, there were other cocktails. 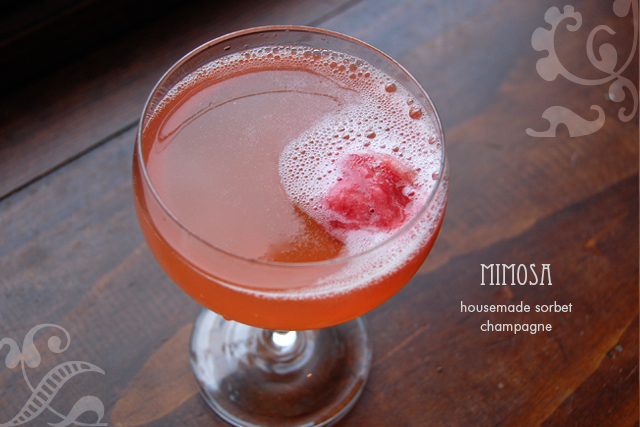 We’ve never been that into them, but The Savoy’s mimosa turned us into believers. It’s genius, really. It’s a glass of bubbly with a scoop of housemade sorbet. Because it’s not made with juice, the bubbly shines while the fruit flavor plays a supporting role. 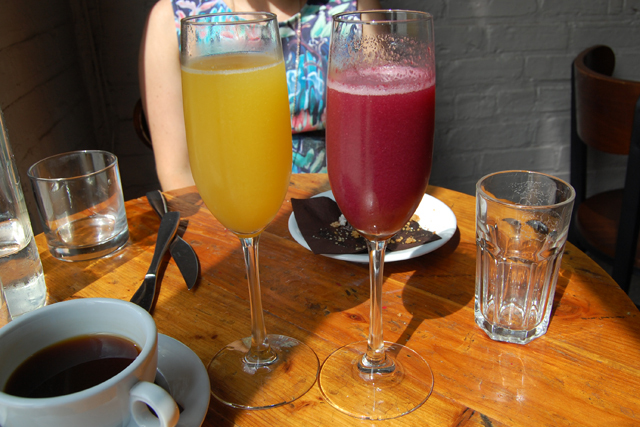 This particular mimosa was blood orange, and you know how we feel about blood orange. Remember as a kid when the best part about breakfast was slurping in the milk after you ate your cereal? Well, imagine that deliciousness + booze. More like, ‘Pebbles and Damn Damn! Amazing bloody, cocktails and food. 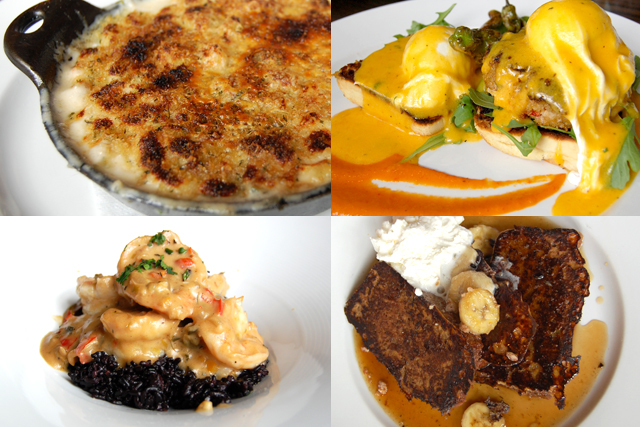 There’s really no excuse for you to not be at The Savoy for brunch. Get over there. Here it is! The bloody last bloody of 2012. To close the year out with pizzazz, we chose wisely, the Storefront Company in Wicker Park. You must come here, if only for the droolworthy decor. The food and bloodies are bonuses. We stayed so long we were tempted to hire moving vans and set up house. 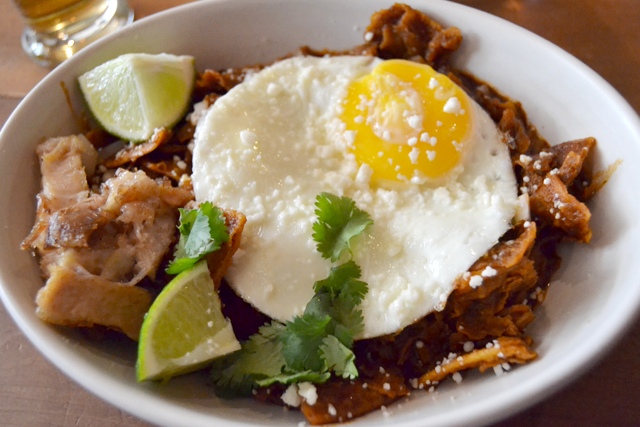 Be forewarned before you visit, Storefront only serves brunch on Sundays. 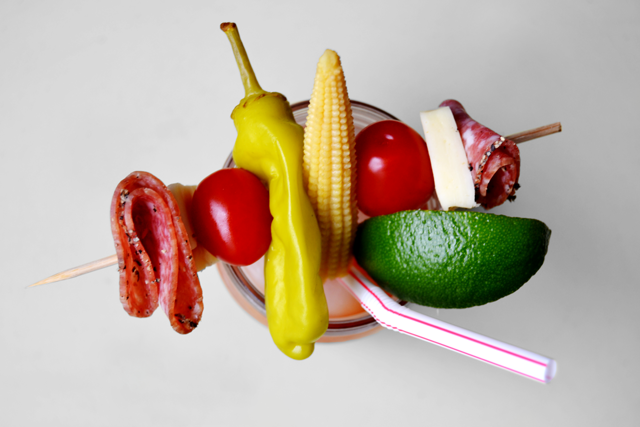 We wouldn’t say we’ve saved the best for last, but these are some pretty damn interesting, creative bloody marys. There are three on the menu. Just like the restaurant, they’re gorgeous. For starters, we ordered the Fire and Botanical bloody marys. We equated Fire to a boozy gazpacho. In fact, it’s chunky enough to be finished with a spoon (Not documented, luckily). Accessorized with a salty rim and cooled by a giant ice ball, Fire’s thai chilis and habanero shrub (whatever that is) make the drink live up to its name—one bold, spicy biatch. Plus, it arrived without garnishes. But not lacking. Next up is the Botanical, one of the most creative bloodies we’ve seen. Also with no garnish. The Botanical also lived up to its name with floral and fruity notes on the palate. 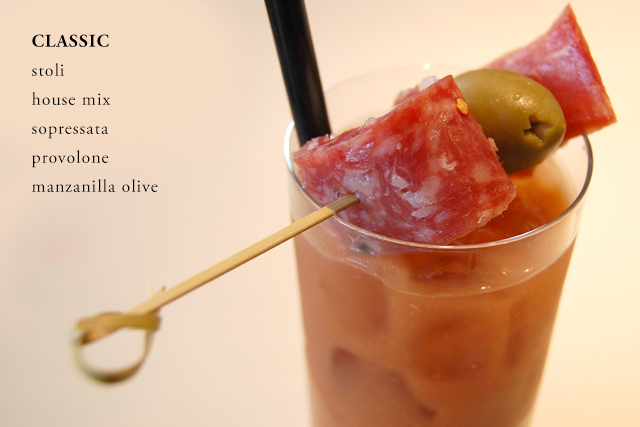 A gin-based bloody mary created in two layers. 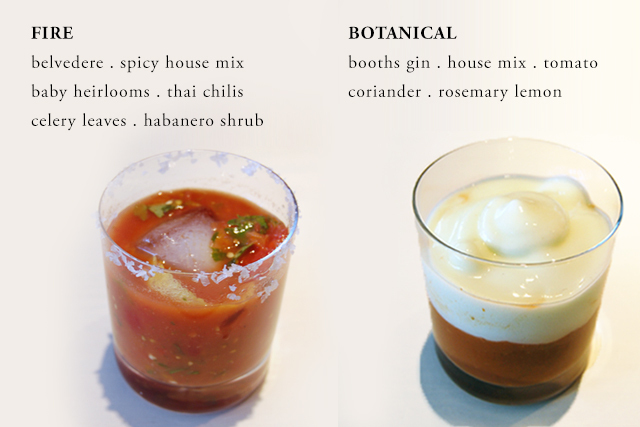 The bottom layer is a traditional bloody mary mix, and the top a rosemary, thyme, lemon and fennel foam. This bloody is smooth and floral. Not typical qualities you’d expect, but we have no complaints. What’s funny is that we both enjoyed our drinks but wished we had ordered the others’. 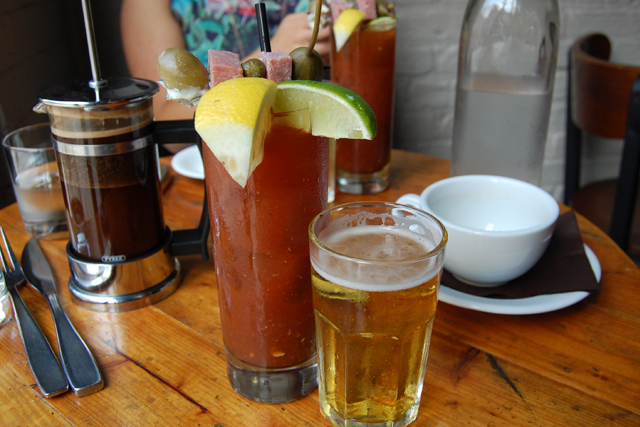 We also tried the Classic Bloody Mary, which indeed lives up to its name (theme?). It’s classic like a little black dress: something traditional you count on, but nothing you get thrilled about wearing. 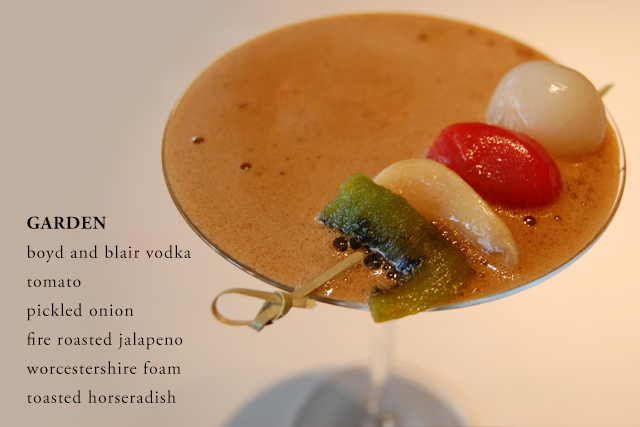 The Garden was ordered because the ingredients are akin to a bloody . At first sip, it’s delicious. However, after a few, the overpowering worcestershire sauce turns it into a meat marinade. 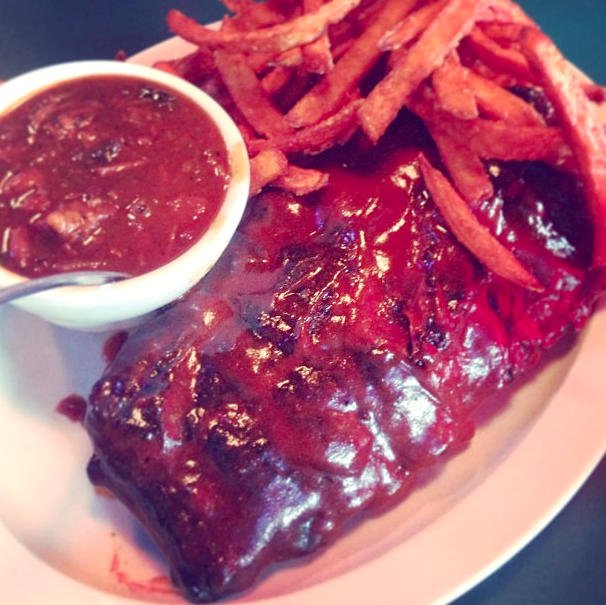 Now, let’s chat food. The SF deviled eggs were devoured as a starter. So imaginative. 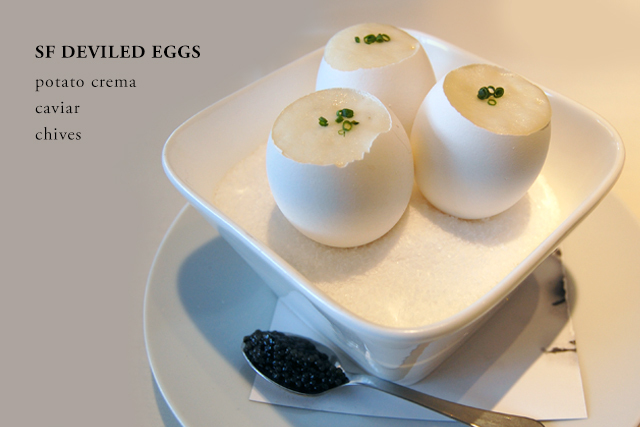 The egg shells are hallowed out and filled with potato crema, yolk and accompanied with caviar and chives. Because we are classy ladies who eat with tiny spoons. 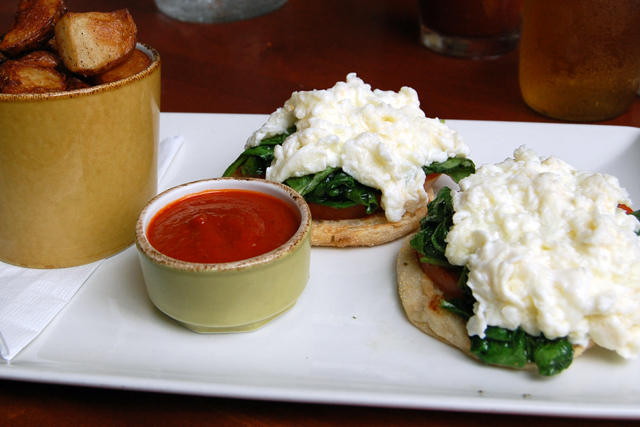 The eggs were reminiscent of the best and airiest mashed potatoes you’ve ever had. 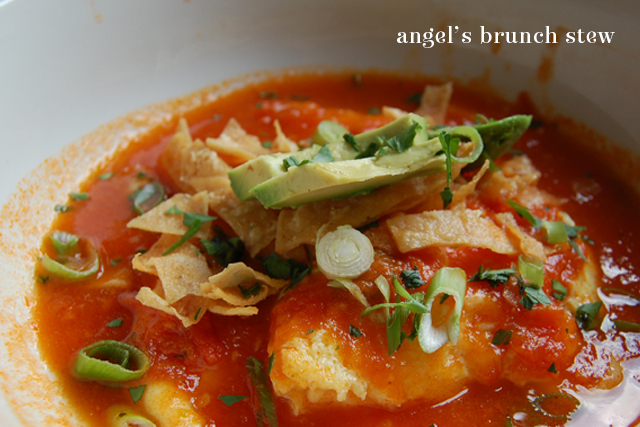 We’ve been dabbling with untraditional brunch foods, as evident from the Nellcote fresh spaghetti. Keeping the streak alive, one of The Marys ordered fried rice and eggs. Good, but heavy on the soy sauce and crunchiness. 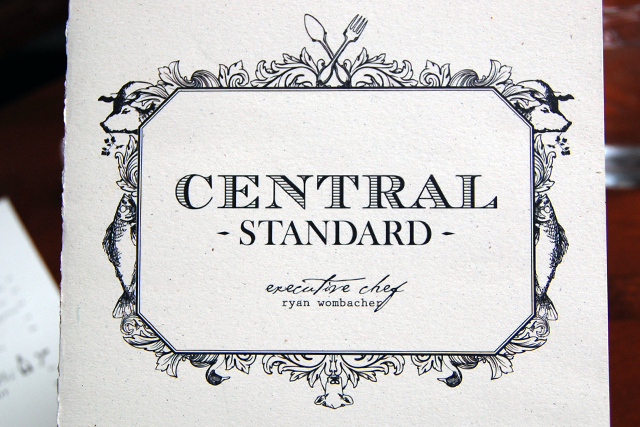 Plus, the coriander-hollandaise and pomegranate-caviar flavors weren’t very loud. As much as we love brunch, admittedly, neither of us are huge omelette fans. 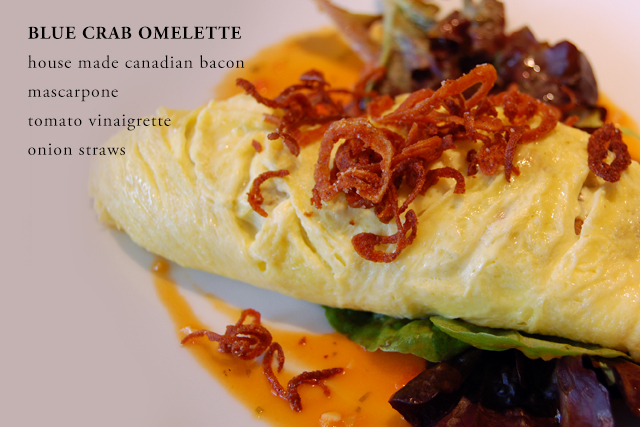 This omelette was savory and interesting with the mingling of blue crab and mascarpone but not remarkable. Cheers to 2013! Bring on more bloodies!